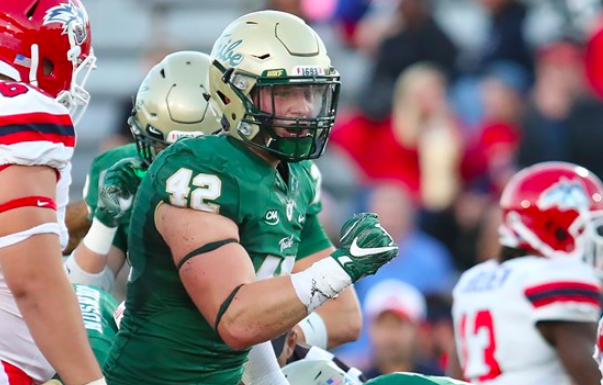 Last week, W&M had a bye to rest and recuperate before heading into the final two weeks of the season — surprisingly, we’re already just two games away from the end of football! The Tribe’s previous contest came two weeks ago on the road against Rhode Island, in what was one of the absolute worst weather games we have ever seen. It was practically a monsoon out there. Despite the weather and the ensuing Tribe loss, there was one bright spot: W&M was featured on Sportscenter, Fox Sports, Monday Night Football, and in several other national headlines for an eye-popping play made by the Green and Gold’s Nate Evans. Somehow managed to miss the highlight? Don’t worry, we have it right here; and for those of you who have already seen it — it doesn’t get old (see below, featured on NBC’s Sunday Night Football). This week, the Tribe will look to rebound on the road against Villanova, a traditionally strong CAA team that currently ranks toward the bottom of the league. In fact, Richmond and Villanova, the Tribe’s two remaining opponents, are a combined 2-10 in CAA play. Here’s to hoping that W&M can finish this year out with 2 wins and send Head Coach Jimmye Laycock off with a winning record in the CAA. We believe! Villanova was picked to finish in the middle of the CAA pack this year (#6 of 12), so to see them sporting a poor record at this juncture means that it’s been a disappointing year for the Wildcats. 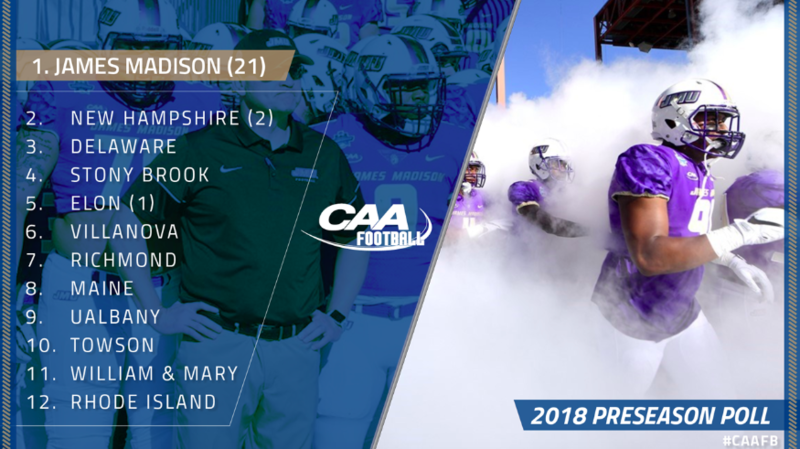 After a season-opening victory over FBS-member Temple in week 1 (score: 19-17), the Wildcats looked like a force to be reckoned with; and despite losing their first CAA game to Towson, the Wildcats would go on to start the season 3-1. The Wildcats then hit a sudden snag in their schedule, in which they played against ranked teams three weeks in a row: Stony Brook, Maine, and JMU. They would lose all three of those contests, and fall the following week to UNH to the tune of a 34-0 shutout. In fact, prior to last week, the Wildcats were outscored 71-0 in consecutive games against JMU and UNH. Part of the reason that Villanova has not been itself this year is due to senior QB Zach Bednarczyk‘s absence. He has missed multiple games with an injury, and he when he is out, Villanova truly is a different team. 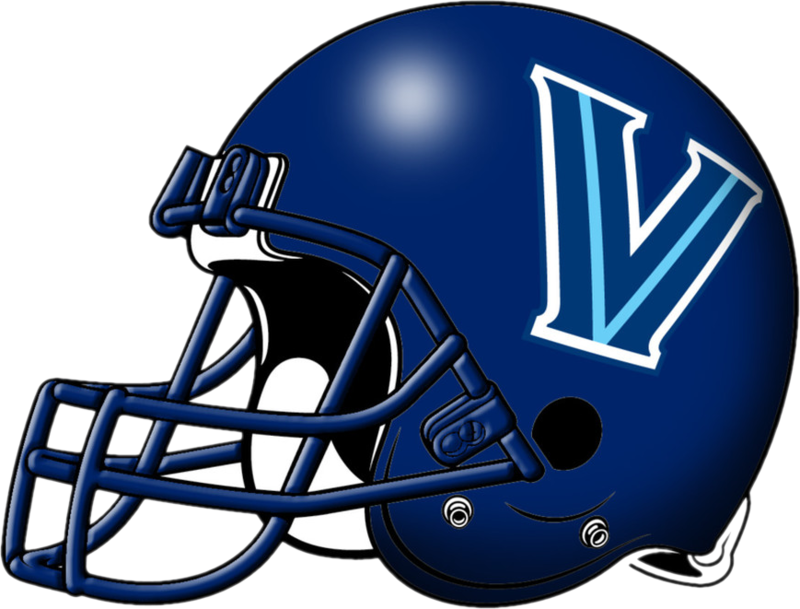 However, just last week, Villanova picked up a much-needed 45-21 victory over the Richmond Spiders. The win marked the Wildcats’ first CAA victory of the year, as they will surely look to make it two in a row this week against William & Mary. On the field, the Wildcats are led by their defense, which ranks 3rd in total defense in the CAA (Rushing Defense – #5, Pass Defense – #3). The defense gives up an average of 23.6 points per game, but that number is a bit deceiving; in CAA play, the unit has actually given up an average of nearly 30 points per game (29.83). Offensively, the Wildcats rank 7th in total offense (Rushing Offense – #5, Pass Offense – #7), averaging around 24 points per game. Again, if these numbers were limited to just CAA play, the Wildcats would be averaging just 19.5 points per game. The point is, while Villanova played well during out-of-conference play, the Wildcats have not been stellar in CAA play. W&M, led by its young defense, has a real chance to slow down Villanova on Saturday. RB Aaron Forbes (#25): Forbes is the undisputed leader of the #5-ranked Villanova rushing attack, currently ranking 6th in the CAA with 613 rushing yards. The powerful, 220 pound back averages 5.6 yards per rush, good enough for 4th in the CAA in yards per rush. Given that W&M ranks dead-last in rushing defense, expect Forbes to get the ball early and often in this one. The W&M linebackers will have to play their part in shutting down Forbes if W&M’s defense is to get off the field this week. DB Christian Benford (#41): Christian Benford has exploded onto the scene. Just a freshman, Benford leads the CAA in interceptions with 5 picks in just 7 games. He seems to be getting better each and every game, recording an insane 3 interceptions last week against Richmond. Against Richmond, Benford became the Wildcats first player since 2011 to post a game with three interceptions. Benford will have a tough task this week, however, as he faces off against stud W&M senior DeVonte Dedmon, who ranks 5th in the CAA, averaging 75.7 receiving yards per game. This will be a one-on-one matchup you will not want to miss on Saturday. Look for #41 matching up on Dedmon this week, and get your popcorn ready. WR Jarrett McClenton (#5): The Wildcats’ senior receiver might not be the tallest pass-catcher in the world, checking in at just 5’7″, but he knows how to get the job done on the field. The receiver has 544 yards on the season to go along with 6 touchdowns. 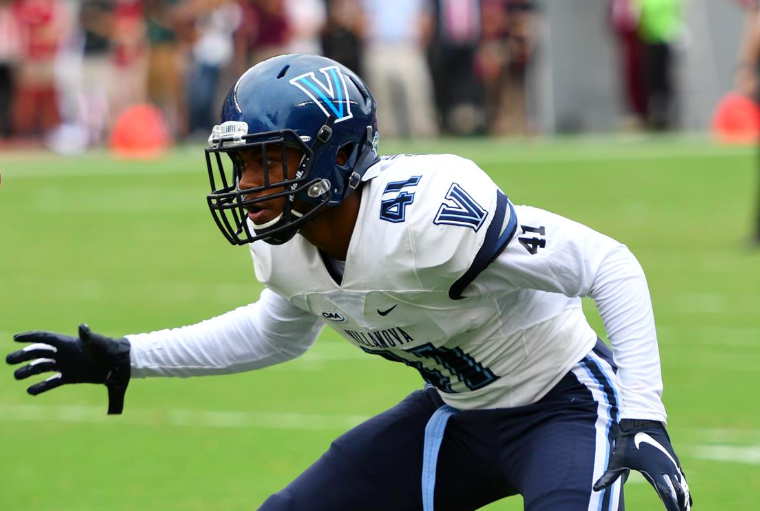 He is the clear #1 receiver for Villanova, and is not someone the Tribe should take lightly; the #GreenSwarm secondary, led by senior captain Raeshawn Smith, better know where #5 is on the field at all times this week. Get Off to a Hot Start: This seems to be one of our keys each week — and for good reason. 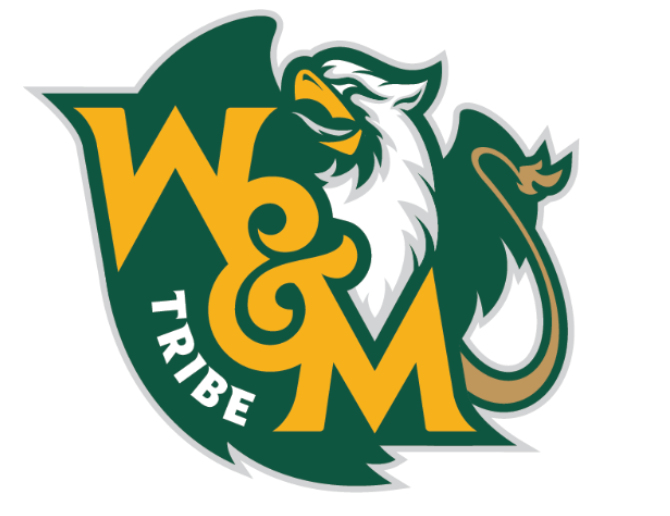 Part of the reason W&M had 0 CAA wins a season ago is because the Tribe was beyond woeful in the first half of just about every game. This year, the Tribe has improved, but not by much. Through 5 CAA contests, W&M has scored 21 first quarter points, an average of 4.2 points per game in the first quarter. Starting off on the right foot is important in any game, but especially on the road. The Tribe needs to put points on the board in its first couple of drives, and build an early lead on this Wildcats team on Saturday. Win the Turnover Battle: The strength of this Wildcats team is their defense. After giving up 71 combined points to JMU and UNH, the defense rebounded in a huge way last week against Richmond, forcing seven turnovers (5 interceptions, 2 fumbles), including two pick-sixes. W&M can ill afford to let Villanova gain a defensive touchdown this weekend, as the W&M offense only averages 13.2 points per game. On the flip side, with Villanova QB Zach Bednarczyk injured, the Wildcats will have a young and inexperienced QB playing on Saturday. W&M needs to force turnovers and get pressure on the QB. And a defensive TD for the Tribe wouldn’t hurt either. Stop RB Aaron Forbes: Forbes is coming off a big game for the Wildcats — one in which he rushed 20 times for 160 yards and 1 TD (averaging 8 yards per carry). With the Wildcats likely to trot out an inexperienced QB, W&M would be wise to stack the box and shut down Forbes, forcing Villanova to throw the ball. Turnovers? Yes, please. In William & Mary’s two conference wins this year, the team has posted 25 (Albany) and 27 (Maine) points. In order to win this one, we think the Green and Gold will need to put up another 20+ point performance. 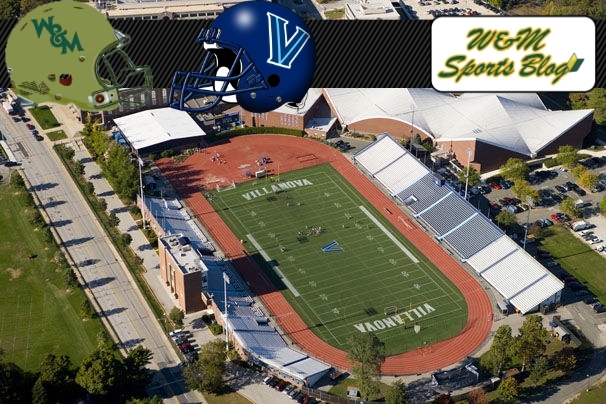 Villanova will try to keep it close, but we foresee William & Mary forcing a late interception to seal the deal. LET’S GO TRIBE.